The two lead actor and actress of TV Chosun drama series Korean Peninsula (Hanbando), Hwang Jung Min and Kim Jung Eun, are staging a kiss scene. According to the crew of the Korean Peninsula drama series, the kiss scene is the first kiss scene of Hwang Jung Min and Kim Jung Eun in the drama, and it’s an important scene where both of them confirms the feelings towards each other. 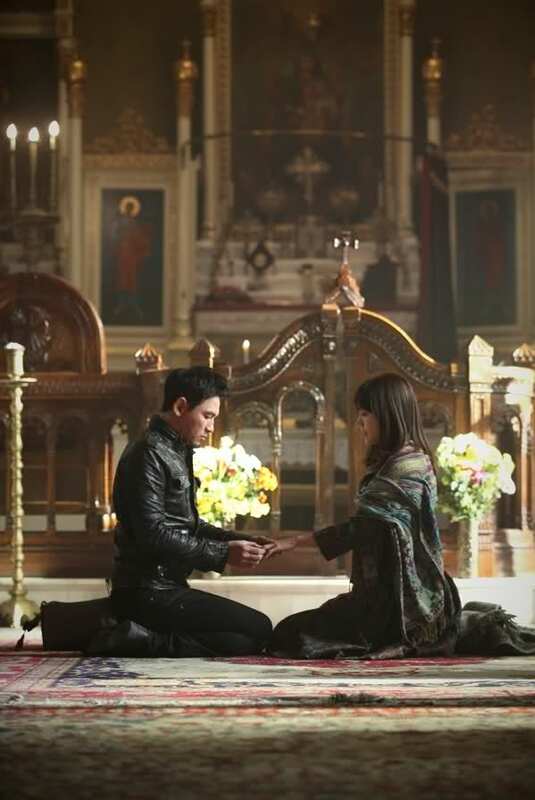 In order to shoot this scene, the crews of the Korean Peninsula who were busy with overseas shooting made some time to specifically look for a church with 300 years of history for the shooting. Korean Peninsula is broadcast every Monday and Tuesday via TV Chosun.